Lowering HabCam 5 into the water aboard the F.V. Jersey Cape. 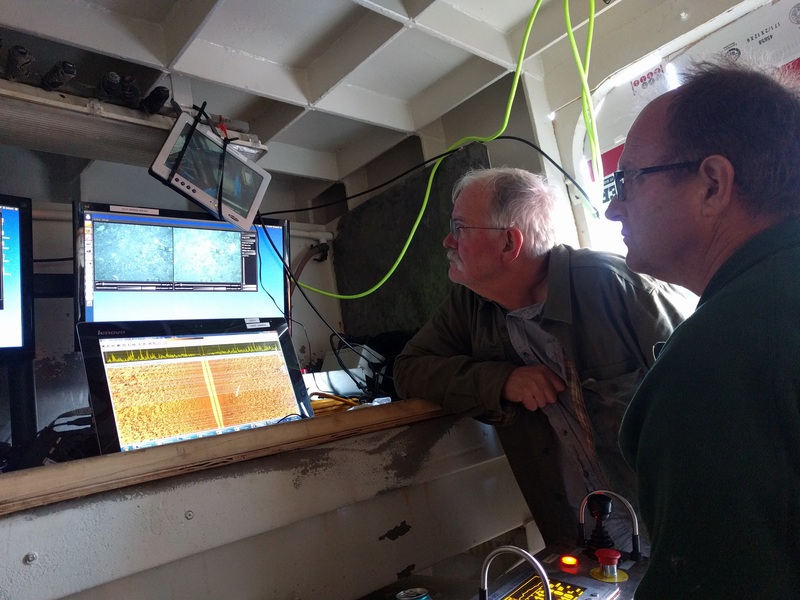 Engineer Hugh Popenoe driving the HabCam vehicle by winch; PI Scott Gallager studying the real-time stereo images being collected. Scallop dredge tow somewhere in Closed Area II, Georges Bank. Sorting and counting dredge contents during disturbance tows. Passing time aboard the F.V. Jersey Cape. The F.V. Jersey Cape pulling into Iselin Pier at WHOI. HabCam 5 aboard the F.V. Jersey Cape, shown with generator and winch. Habcam 5 over the starboard side of the F.V. Jersey Cape with Engineer Hugh Popenoe. Ziptie faring along the cable reduces drag and cable strum (vibration). 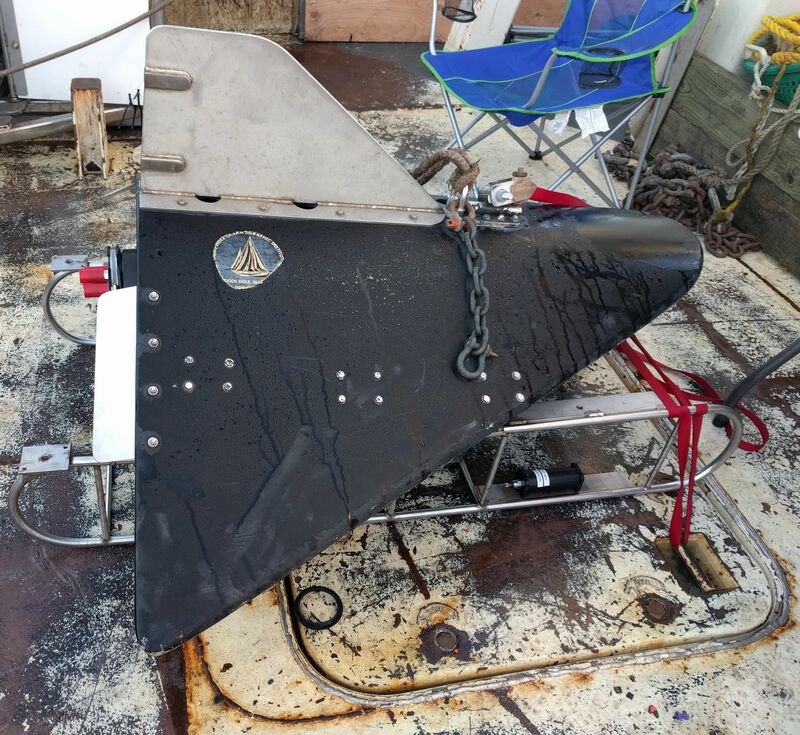 Forward side of the vehicle, showing sensor array including both side-scan sonar transducers, CPICS, main housing, and CTD. Mission control aboard the F.V. Jersey Cape in a retrofit scallop cutting room. 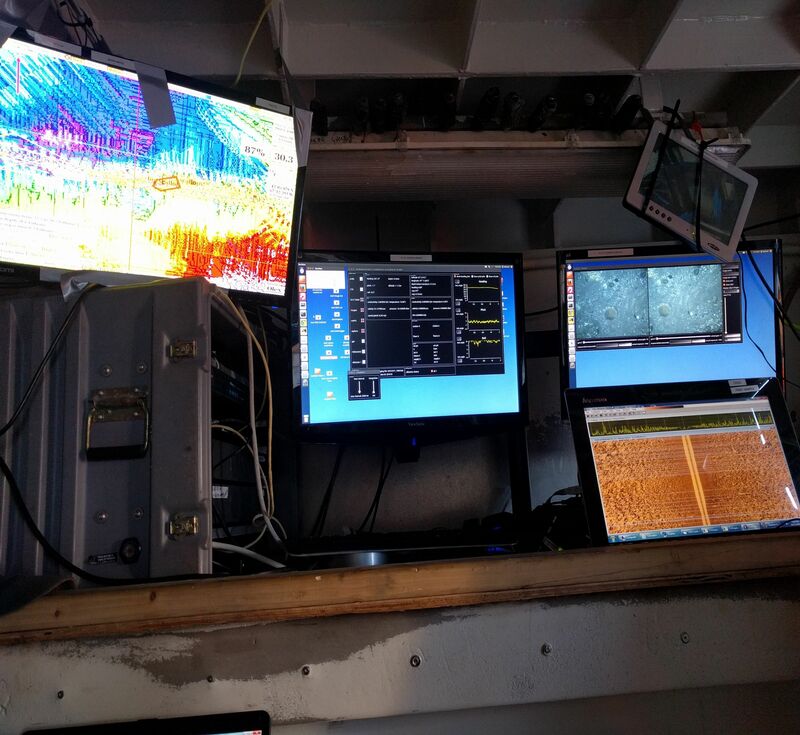 Left to right: Ship bathymetry, HabCam control, real-time stereo images, and real-time side-scan acoustics. 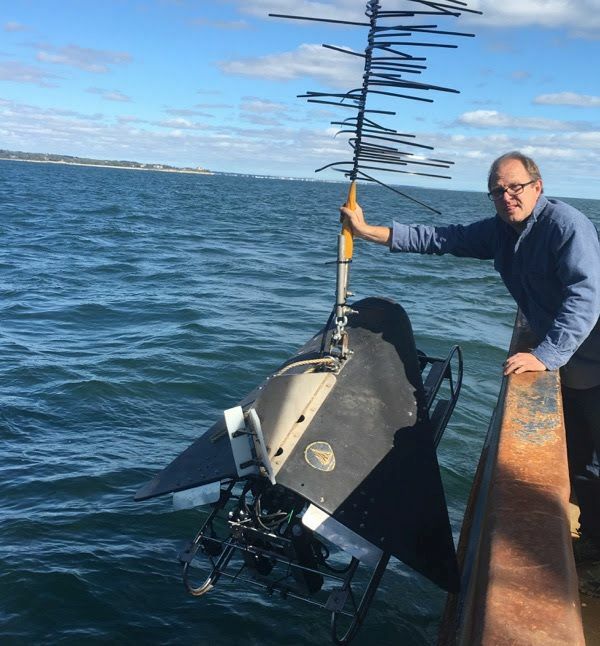 The HabCam vehicle was originally designed as a tool to survey sea scallops with funding generated by the commercial scallop industry through the Research Set-Aside Program (NOAA adminstered). 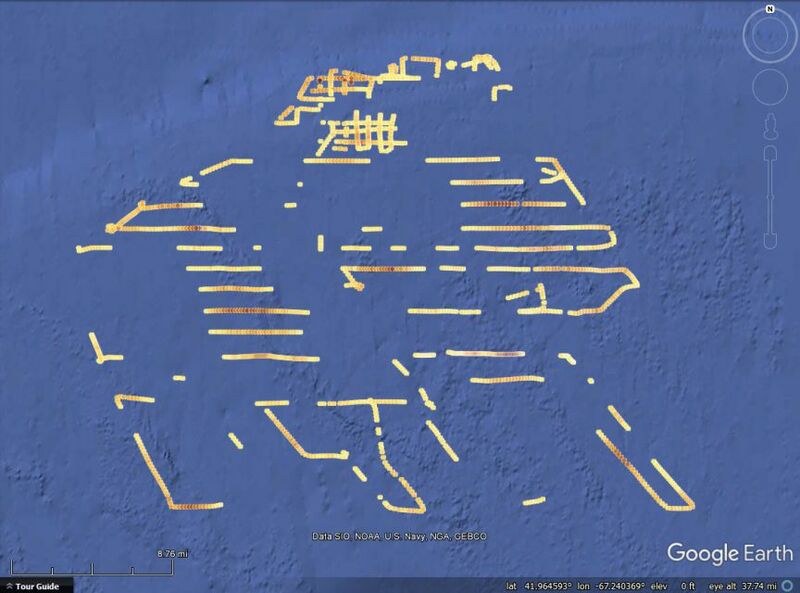 Beginning with shadow-tow surveys from 2007-2009, HabCam has been invaluable in assessing scallop abundance and benthic habitat for multiple species and communities. 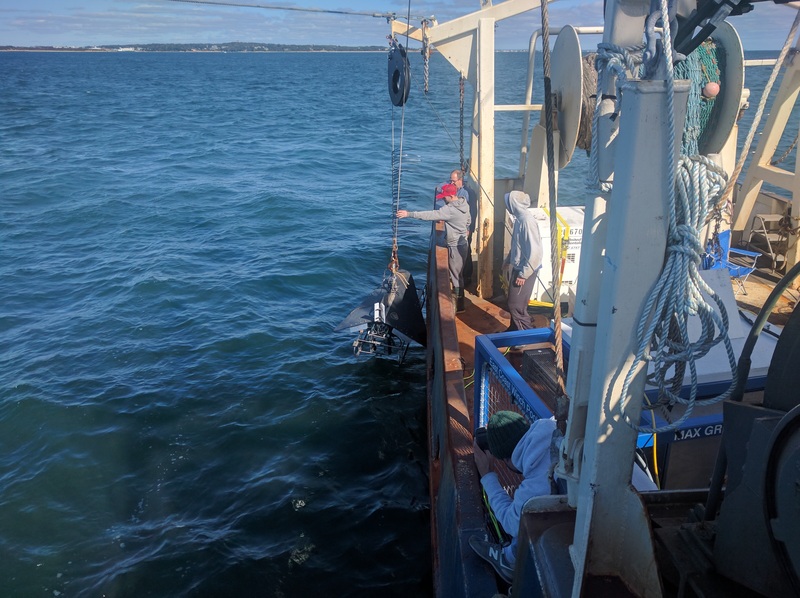 In the summer of 2016 we began a multi-year RSA-funded dredge disturbance study using HabCam vehicles to assess the impact of dredging on habitat and community composition in Closed Area II – a fishery management area in the Northwest Atlantic that has been closed to fishing for decades. 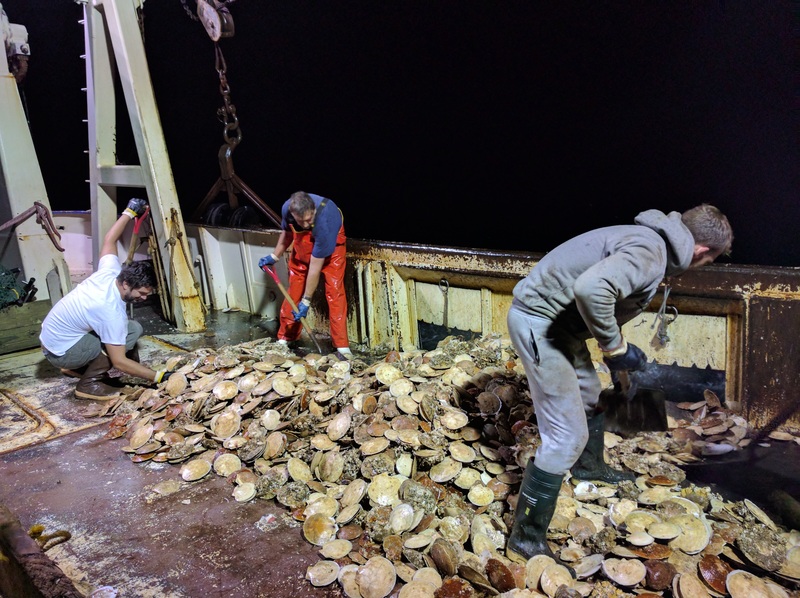 The objective of the study is to visually assess how dredging impacts the community composition, recolonisation, and resiliency of benthic habitats rich in biogenic epifaunal and infaunal structures across different substrates, with particular attention to scallop and Didemnum vexillum (an invasive tunicate) habitat. 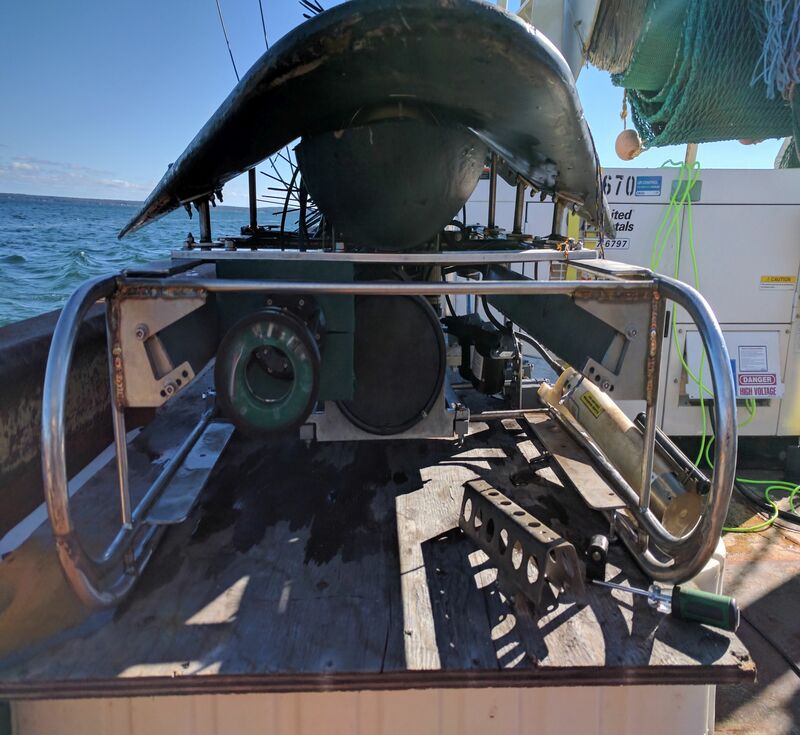 Initially, standard commercial scallop dredges were towed across the same area to simulate high-intensity fishing pressure from multiple vessels. 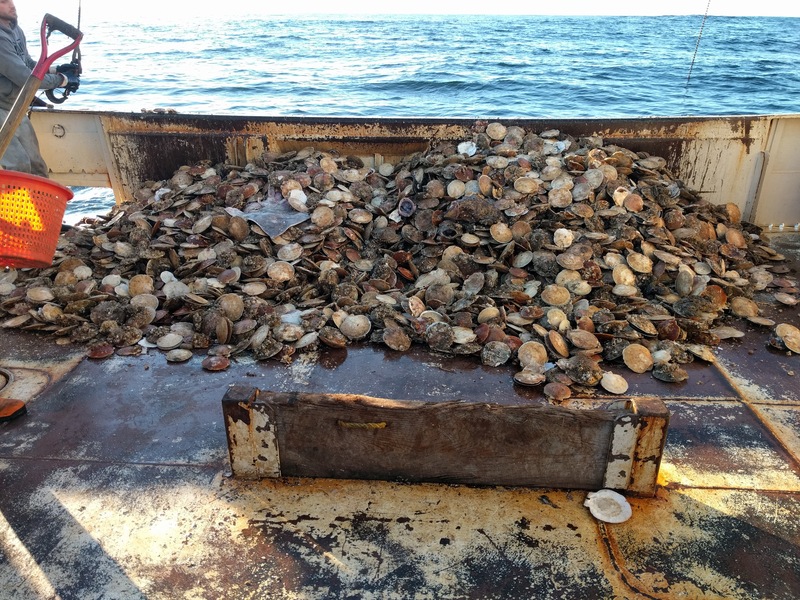 Dredge tow contents (volume, abundance, and species composition) were recorded. 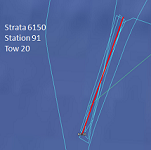 Before, in between, and after dredge tows, HabCam was lowered into the water to visually assess disturbance. For more information on this project, you can take a look at our 2017 presentation to the Scallop Planning & Development Team. The cornerstone of our RSA projects is our partnership with industry members. 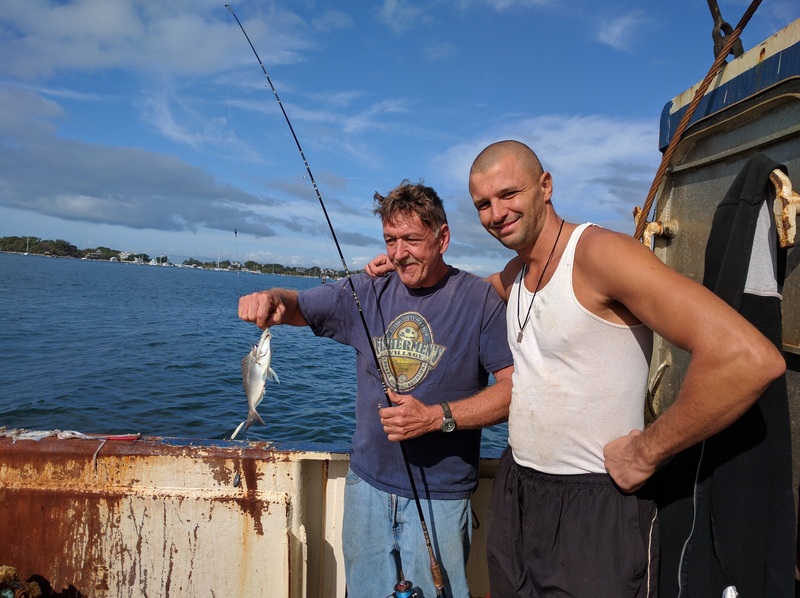 We work along-side fishers who provide their support and experience to help us succeed in our research objectives. We are curently working with the F.V. 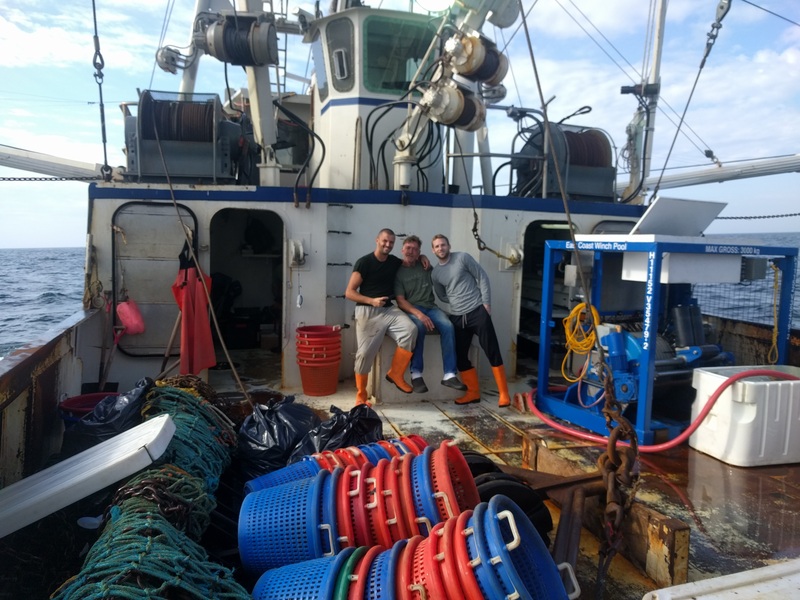 Jersey Cape of Lund’s Fishery who provide vessel-time and their expert knowledge for our disturbance/resilience study. Can be found under Data & Visualization. 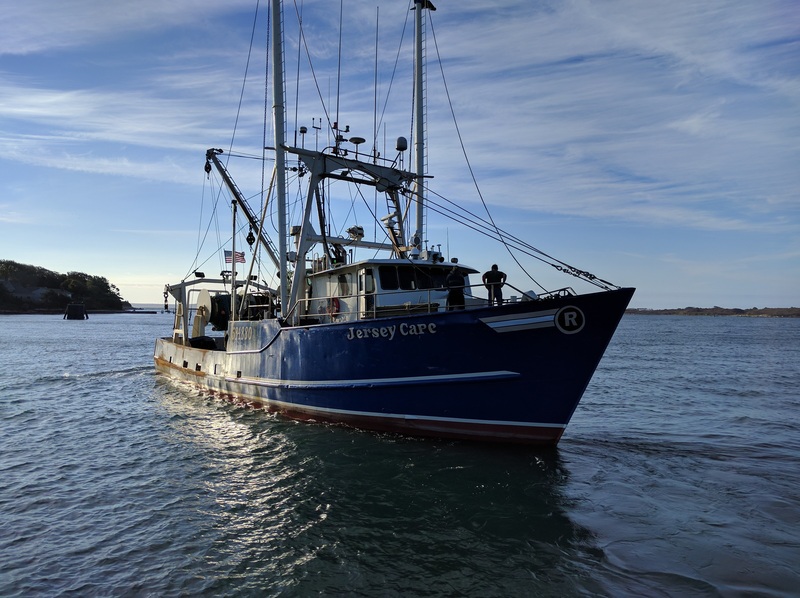 In 2007 through 2009, the HabCam vehicle has been conducting paired tow surveys with the National Marine Fisheries Service as they conduct their yearly scallop assessment. 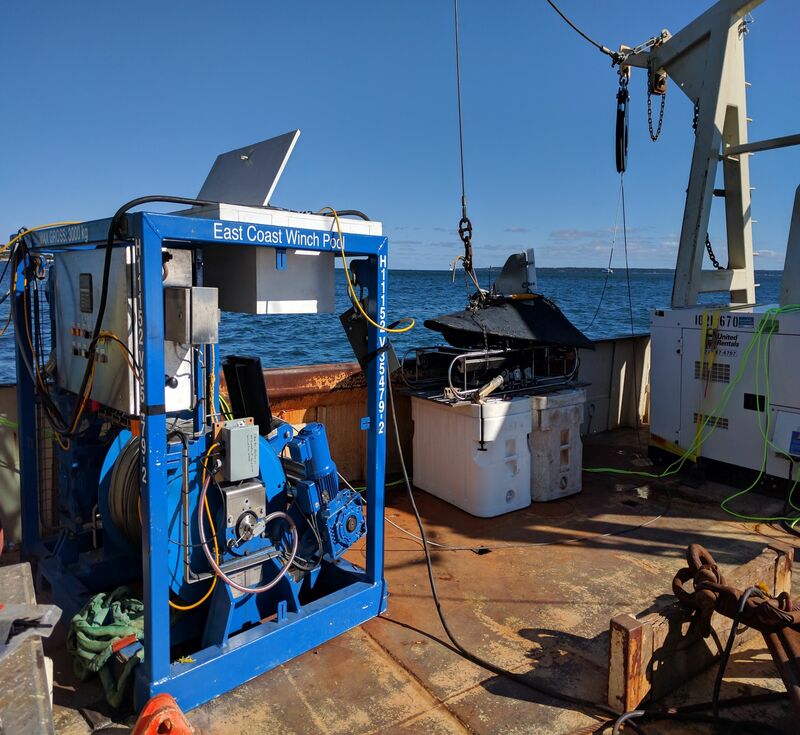 This project lets us assess how data from an optical imageing system compares to results from a standard dredge-survey.